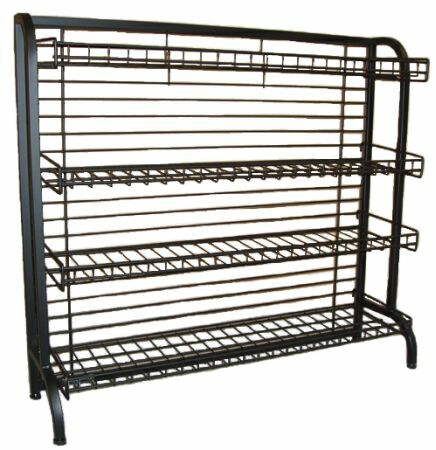 This front of counter floor rack utilizies space under counter great for impulse buy items: candy, large chips bags, chewing gum, bananas. 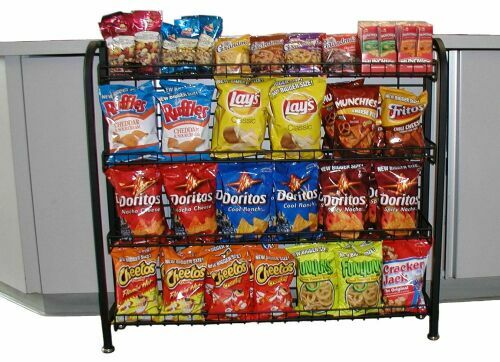 Straight wire shelves are 9" deep and allow easy access and visibility to every level merchandise. Overall Dimensions: 34.5H x 37.5W x 10D. Item #: FD-58 Price: $148.00ea Color: black.